Sohrab Najle-rahim discusses why Malaysian social movements’ calls for an end to corruption, the protection of indigenous communities, and the need for greater climate consciousness are all part of the same struggle. 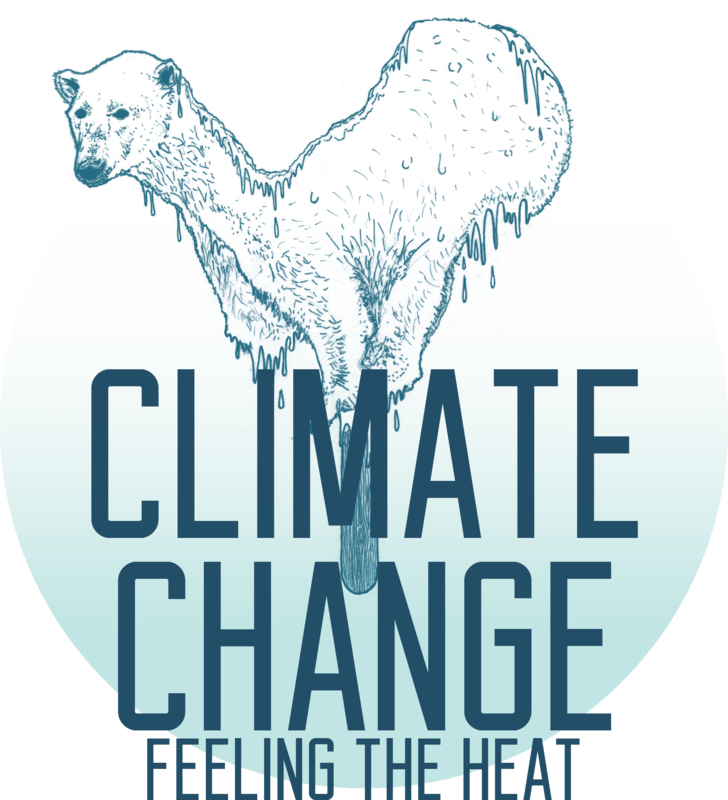 'CLIMATE CHANGE: FEELING THE HEAT'. TO SEE MORE FROM THIS SERIES, CLICK HERE. It is difficult to overstate the importance of rainforests to human existence. Rainforests act as the lungs of the earth, producing huge amounts of oxygen through photosynthesis and storing carbon in their soil and plant life. Globally, deforestation creates 20% of our total carbon dioxide emissions. The impact of deforestation is so extensive that the October Indonesian fires released more CO2 every day than the entire US economy. And rainforests are more than just our first line of defence against a rapidly deteriorating climate. Ancient tribes and peoples rely on the rainforest for their very existence, a reality that their culture will never permit them to forget. The Penan People of Sarawak in Malaysian Borneo practice the philosophy of ‘molong’, which teaches to never take more than necessary. They tread lightly on the rainforest, harvesting jungle fruits and hunting the local wildlife for sustenance. Corporations and colonial powers have always engaged the world’s indigenous peoples with an air of cultural and intellectual superiority, yet these outsiders have never fully appreciated the Penan’s sustainable life-style. Today, most of the Sarawak rainforest is unrecognisable to the tribespeople that have been co-existing with it for millennia. One of the richest ecosystems on earth has been almost completely destroyed, and in its place lies a network of dusty roads that navigate some of the largest palm oil plantations on earth. The beauty of the rainforest has been replaced by a grid of oil palms, perfectly arranged to maximise yield and profit. Nowhere is the devastation of unchecked power more visible than in Sarawak. For the last 30 years, a single corrupt official has been masterminding the massacre of the Malaysian rainforest. His name is Abdul Taib Mahmud. 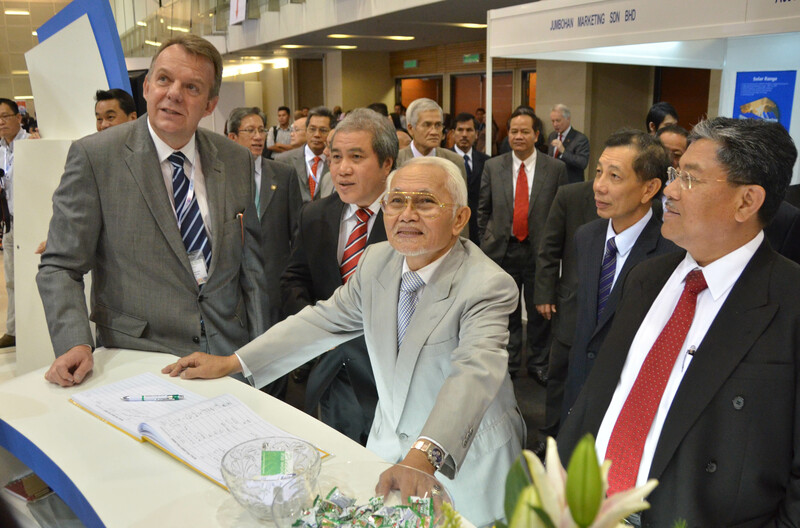 Taib became the Sarawak minister of Development and Forestry in 1967, eventually becoming the Chief Minister in 1981. In his first six years in office, he handed out land right concessions for an area the size of Belgium to his family and close associates. Taib became increasingly bold as his wealth accumulated and his grip on political power strengthened. In the 80s, the ‘Big 6’ Malaysian timber firms were given unrestricted access to the rainforest, logging at an astonishingly fast rate. By the 90s, some loggers had become frustrated with the slow-growing secondary forests that had been planted in areas already logged, and their taste for larger profits led them to turn areas into palm oil plantations. It is difficult to find a silver lining in palm oil production. Once land has been converted to a palm oil plantation, all hopes of restoring the biodiversity the area once possessed are effectively abandoned. Palm oil is used in processed food, is high in saturated fats, and contains fatty acid esters which some recent studies have found to be carcinogenic. The German Federal Institute for Risk Assessment has issued a public warning against its consumption. As a biofuel, palm oil theoretically has some potential to replace fossil fuels and significantly reduce carbon emissions. But as long as palm oil is produced in such unsustainable quantities, this ‘green’ potential remains irrelevant. Huge amounts of carbon dioxide are released in the production and transportation of the fertiliser needed to generate its yield, as well as in the latter stages of its refining process. Destroying our rainforests in order to create a pseudo-‘sustainable’ fuel appears a questionable proposition at best; little wonder that many international environmental organisations eschew biofuels. Whatever the biofuel’s potential may be in principle, Malaysia shows no sign of enacting truly sustainable palm oil production in the foreseeable future. Ignoring the devastating repercussions of his actions, Taib continually sided with greed, handing out unsustainable and illegal land contracts up until his retirement in 2011, and manipulating Sarawak’s economic structure entirely for his benefit. In Lukas Straumann’s book, ‘Money Logging: On the Trail of the Asian Timber Mafia’, it is estimated that the Taib family is now worth $15 billion dollars and that $50 billion of profits have been extracted from Sarawak rainforest. That wealth resulted in a choking concentration of power in the hands of Taib’s family and the logging companies involved. The companies that came of age in the 1980s are now controlling many major industries, including shipping, construction and national media. Such dominance allows their influence to permeate every aspect of local life. One report on Sarawak described Taib as having “absolute control over the allocation of timber licenses and logging concessions to himself, his allies, his friends, his family”. In 2006, the US described Taib as a “highly corrupt official” who extracts “a percentage from most major commercial contracts”. None of Sarawak’s new-found wealth has gone to its indigenous communities, the people who have the strongest claim to the land. But local resistance has been constant and remains strong. The activist Along Sega was perhaps the leading figure in the Penan’s people’s fight against deforestation. He took a Swiss activist named Bruno Manser under his wing, who, after six years of living with the Penan people, set up the Bruno Manser Fund to help Sarawak’s indigenous communities disillusioned by deforestation. He also led an under-reported international campaign to save Malaysia’s rainforest, and Sega and Manser taught the Penan people how to form blockades against logging companies. By 1990, Manser had become the “number one enemy of the state” in Malaysia and special units were sent out to search for him. On one occasion, he was spotted and arrested by an off-duty police inspector. The inspector had no handcuffs, and at the opportune moment Manser jumped out of the moving vehicle into a river. The inspector fired two shots at Manser but he managed to escape, albeit without the detailed notebooks he had been working on for the past four years. Manser disappeared in 2000, his last contact being with a Penan friend who reported that he had plans to climb a mountain. Despite his dedication to the Penan struggle, he admitted at the end of his life that his impact had been “less than zero”. It is now estimated that only 10% of Sarawak’s rainforest remains, and given that the Malaysian government is aiming to plant two million hectares of palm by 2020, such a figure is likely to continue to deteriorate. Built on Manser’s legacy, there is currently a wave of public outrage in Malaysia, which any of the nation’s corrupt officials could get swept up in. Malaysia, like any other post-colonial South East Asian state, is no stranger to corruption, but the ongoing 1MDB scandal is arguably the biggest in Malaysia’s history. The 1MDB fund was created with the aim of kickstarting new industries and transforming Kuala Lumpur into a global financial centre. On July 2, 2015, both the Wall Street Journal and an investigative website called Sarawak Report revealed that $700 million had been traced leaving the 1MDB fund and entering the bank account of Najib Razak, the Prime Minister of Malaysia. The corruption of their Prime Minister has been the most shocking revelation for the public, but it is just the most visible manifestation of a much deeper web of corruption in Malaysia. And there is anger. Anger about the same structural problems that allowed Abdul Taib Mahmud to devastate the Sarawak rainforest. Leading the activist charge has been Bersih 2.0, a coalition of over 100 Malaysian NGOs. 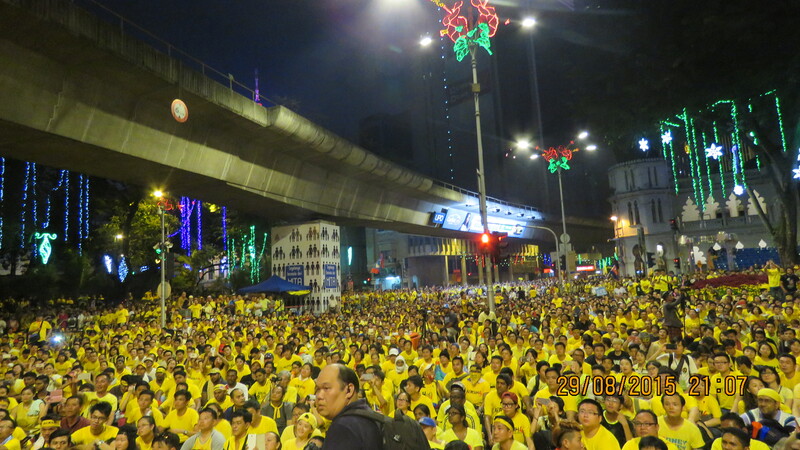 Their protests at the end of August overcame strong government resistance and attracted over 50,000 Malaysians. 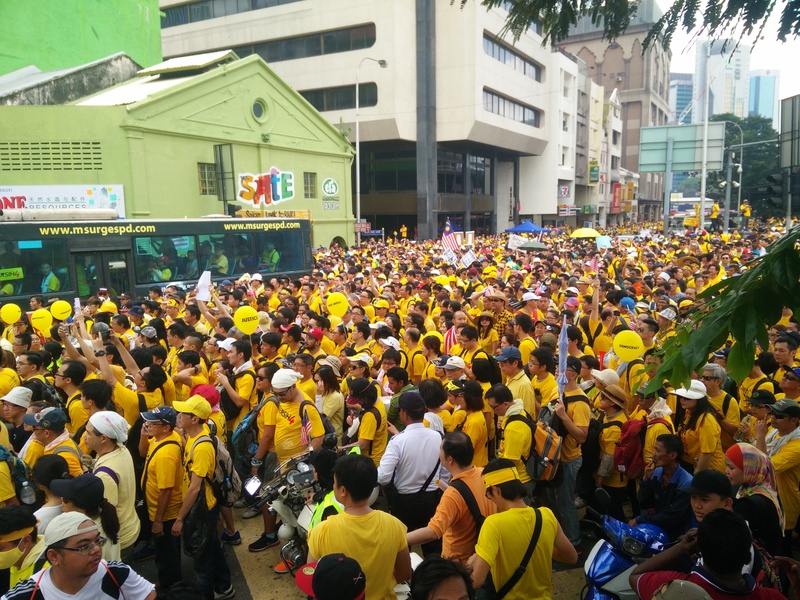 On the day of the protests the government banned anyone from dressing in yellow, the colour of Bersih. The Edge Media Group, which has provided the most critical domestic analysis of the scandal, has pledged to continue its reportage despite one of its publications being banned for 3 months for alleged “activity detrimental to parliamentary democracy”. Thus far, nine people – including the Edge Media Group owner and prominent activists – have been banned from leaving the country, and the government has tried to issue an interpol red notice for Claire Rewcastle, the British head of Sarawak Report. These draconian measures serve only to demonstrate how worried the Malaysian government is that the structural corruption their system relies upon is under threat. Najib Razak and Abdul Taib Mahmud are, in reality, part of the same problem. The destruction of the Sarawak rainforest and institutionalised theft from public funds both stem from the same systemic failures. There is a distinct lack of transparency and accountability in local and central government, and large corporations and business interests are far too close to the officials that are expected to provide progress and development for their people. Without governments that respond to public opinion, that govern based on the rule of law, and that are not manipulated by corporate interests, we have little chance in our fight against climate change. This is why environmental activists around the world have to be vocal in their condemnation of corruption. While the fire is still burning in the hearts of the Malaysian people, and Investigations by the Malaysian Anti-Corruption Commission are ongoing, show your support and solidarity by donating to the Bersih movement at www.bersih.org/donate/. Sohrab Najle-rahim is the Warwick Globalist’s Head of Marketing. He researched corruption in Malaysia with the Legatum Institute over summer.